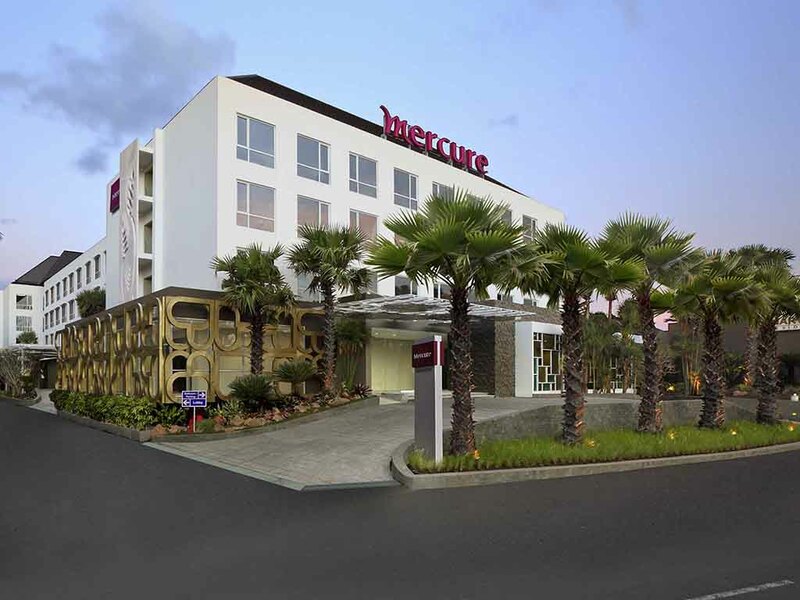 If you're looking to relax on your leisure vacation, look no further than Mercure Bali Harvestland Kuta, with its luxurious and beautiful terrace with an outdoor pool, chic restaurant, and modern bar. The hotel also has well-equipped meeting rooms, making it a perfect destination for business trips. It has 167 rooms which come with complimentary WiFi Internet access, and its stylish in-house restaurant, the Coffeeshop, is well-known for its exquisite cuisine and expansive menu selection. Our restaurant at Mercure Bali Kuta Harvestland, the Coffeeshop, has stylish ambiance and is renowned for its exquisite cuisine and an impressive menu selection. Satisfy your taste buds with an impressive selection of light bites and snacks available at Harvestland Club Lounge. The modern and stylish club lounge is a perfect atmosphere to chill out while enjoying a wide selection of Mocktails and Cocktails.